Fed Chair Powell and Fed Vice-Chair Clarida meet with Trump and Mnuchin ahead of State of the Union. 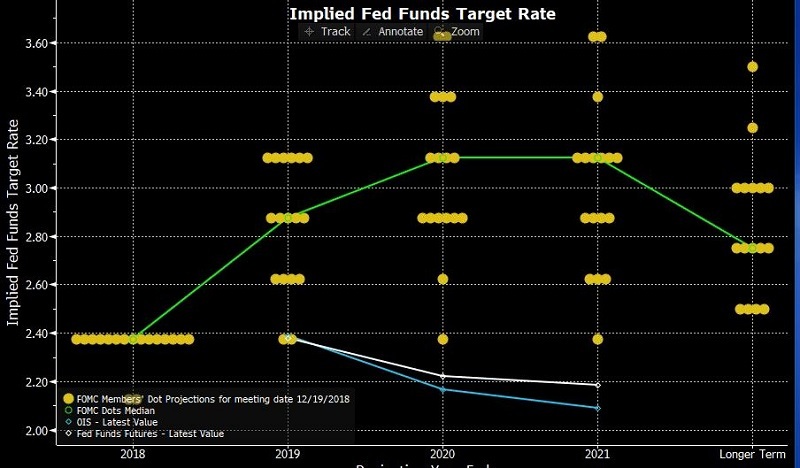 Sources stressed that no monetary policy decisions were discussed, despite the near-constant criticism that President Trump has levied at the Fed Chair as the FOMC raised rates 4 times in 2018. At tonight’s State of the Union address, President Trump is expected to champion the economic strength of the US to a divided Congress. President Trump is also expected to call for cooperation as a mere 10 days remain for Congress to fund the government before another shutdown goes into effect. ​Debt ceiling looms. For all the attention paid to the government shutdown’s impact on the US economy, there’s an issue that could have a much larger effect on financial markets looming on the horizon. Congress will need to pass a bill to raise the government debt ceiling by March 1st. 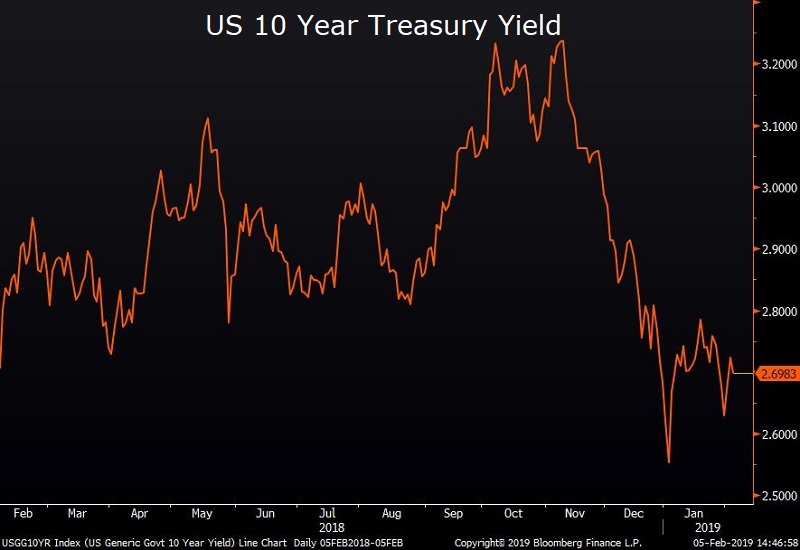 if a bill is not passed by that date then the government would face technical default and the impact that could have on fixed income and other markets. For now the issue seems unlikely to go unaddressed, but it remains a risk to watch as Congress struggles to pass other bills with similarly wide-reaching impact. Treasury yields and swap rates retrace yesterday’s gains. On yet another low volume day Treasurys rallied to bring the 10 year back to nearly flat on the week. 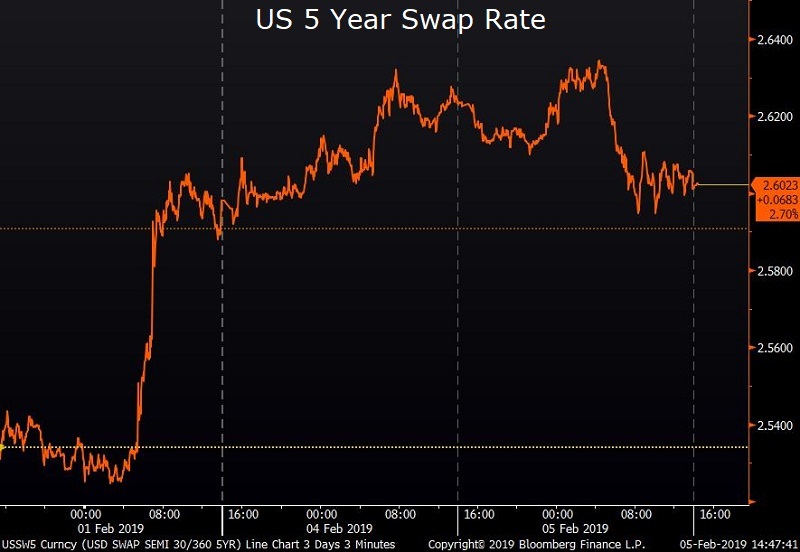 Swap rates moved in line with Treasury yields, falling 2-3 basis points across the curve as US Manufacturing and Services PMI’s came roughly in line with expectations. Tonight’s State of the Union address and Fed Chair Jerome Powell’s speech after the market close tomorrow will serve as the near term catalysts for rates markets.